ST. GEORGE — A suspect believed by police to be tied to a rash of burglaries, thefts and stolen vehicles over the last several weeks in the St. George and Mesquite, Nevada, areas has been arrested. The suspect was also wanted by police for his alleged involvement in a home invasion robbery and kidnapping. Police were able to make contact with the suspect – identified as Erik Rasmusson, 35, of Las Vegas – in Mesquite Tuesday and ultimately take him into custody, according to a statement issued Monday by the Mesquite Police Department. The Mesquite Police Department began investigating after the area in its jurisdiction had reportedly fallen victim to a barrage of burglaries, vehicle burglaries and stolen vehicles. 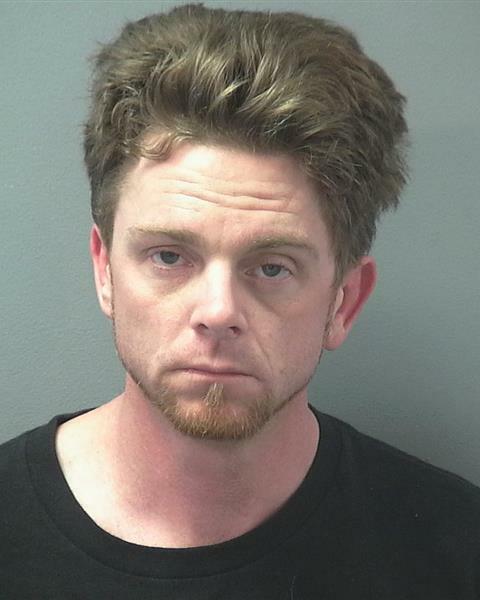 Rasmusson was charged with two felony counts of burglary, one felony count of unlawful use of a credit card without the owner’s consent and two felony counts of possession of a gun by a prohibited person. As this report is published, Mesquite Police detectives are actively investigating and processing a large amount of property and evidence related to the rash of burglary and stolen vehicle cases which recently occurred in Mesquite. Due to the felony charges, Rasmusson was transported and booked into the Clark County Detention Center in Las Vegas. In addition to the theft investigation, authorities said Rasmusson was actively being sought by law enforcement throughout Clark County for a felony arrest warrant issued by the Las Vegas Justice Court for Rasmusson’s alleged involvement in a home invasion robbery and kidnapping involving a firearm. Maybe the president elect and his cabinet could possibly look at putting people on a raft and send them to Cuba. consider it as returning the favor LOL ! Dude, the meds have got you babbling incoherently, again.